Menzel was the leading master of later nineteenth-century German art. 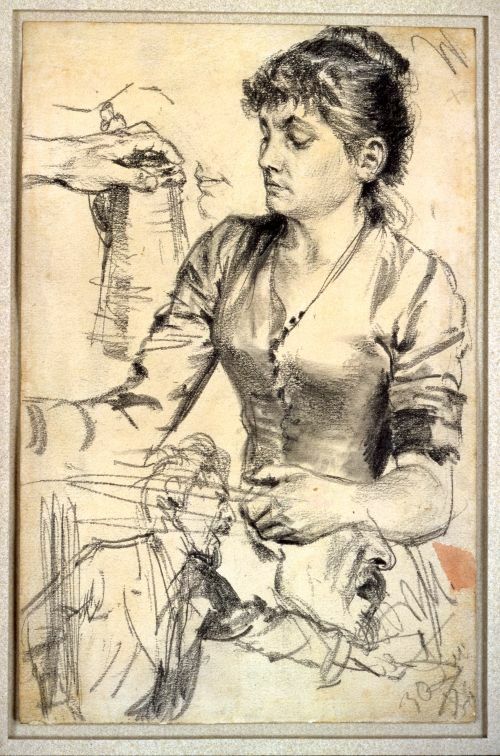 In its deftness and subtlety of line and modelling, it compares with the life drawings of Degas, also represented in the Barber collection. 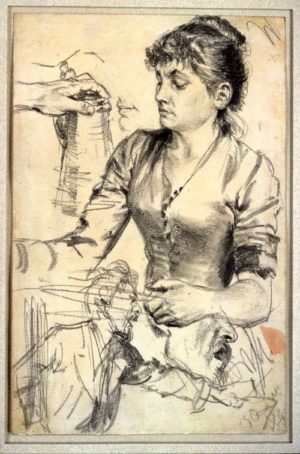 The drawing is a study for the gouache entitled ‘Contribution’, signed and dated 1884, and now in the Kupfertichkabinett, Berlin.